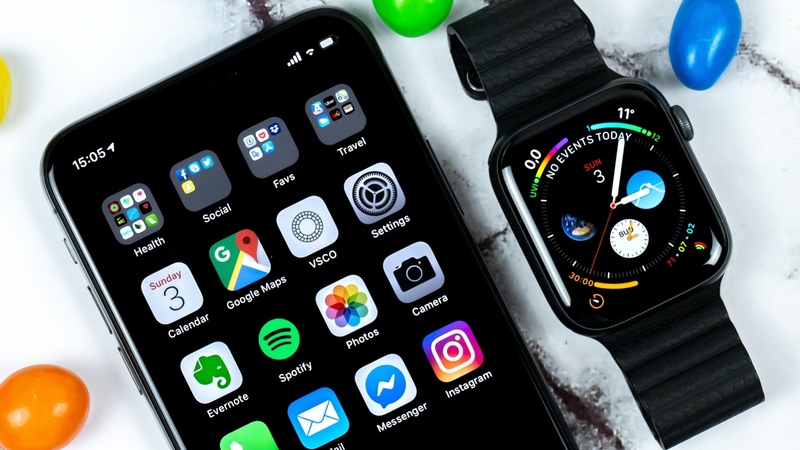 The next Apple Watch may be able to charge wirelessly by harnessing the power of a connected iPhone, according to a new report. The current iPhone can already be thrown on a charging mat and receive power, but latest word from MacOtakara suggests the next version of the smartwatch - likely the Apple Watch Series 5 - will be able to gain battery simply by resting on a new version of the handset. The outlet claims to have received the information from sources in Apple’s component supply chain, with the report also backed up by industry analyst Ming-Chi Kuo. It won't just be the Apple Watch that benefits from the power transmitting iPhone, either, with the new Apple AirPods 2 now coming with the option for a Qi-compatible Wireless Charging Case. It all means we could see the next iPhone mimic much of what Apple AirPower - the MIA charging mat - promised when first revealed back in 2017. Of course, using the smartphone to act as a charger isn't anything new - Samsung recently launched a new flagship handset with this very feature. However, this isn't just a case of Apple playing copycat; we've seen the company explore this technology for several years now, with plenty of patents hinting at a wirelessly connected future. The big question that remains, despite this report, is whether the company's new devices - almost certainly set to be announced this September - will actually come packing the feature. It's too early to know for sure, obviously, but given the whispers we've already heard, as well as refreshed information on AirPower, it seems the Apple Watch could finally be in line for some kind of wireless charging this fall. Until then, you better learn how to charge the Apple Watch or discover 15 ways to improve Apple Watch battery life. Isn't this just a complete rip off of what Samsung did?